1. Heat grill to high. Cut 4 sheets of foil about 12" long. 2. 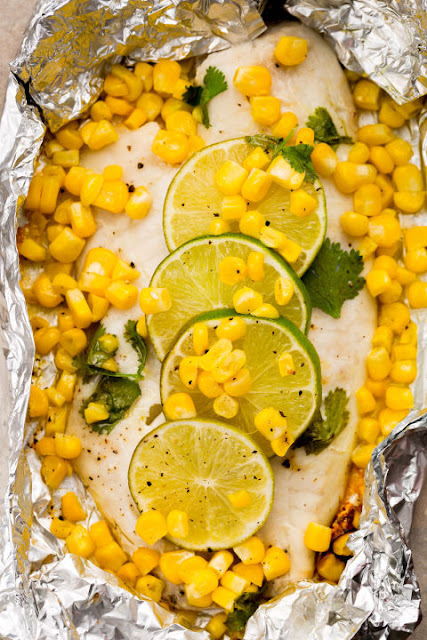 Top each piece of foil with a piece of tilapia. Brush tilapia with honey and top with lime, corn and cilantro. Drizzle with olive oil and season with salt and pepper.